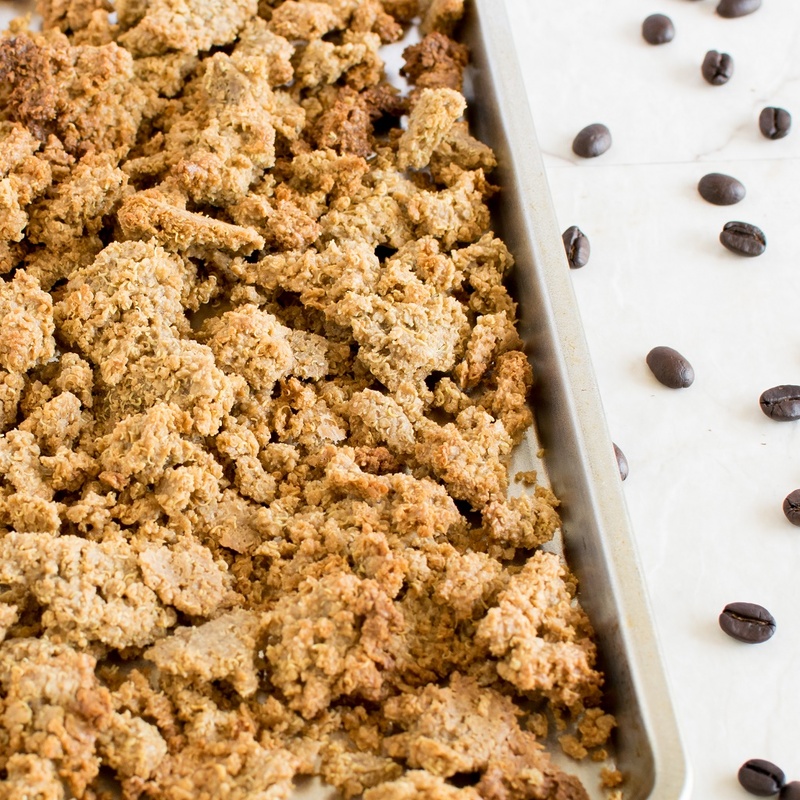 Coffee Cheesecake Quinoa Granola Clusters is a crispy, flavorsome made with real ingredients. It’s a healthy morning meal to serve Moms their breakfast in bed. This breakfast is easy and you can happily involve kids in the kitchen while making it for Mother’s Day. My recipe for today is dedicated to my mom.She is extremely fond of fresh brewed coffee and delicious crunchy cereals for her breakfast. Hence, I got this idea of combining the two ingredients. 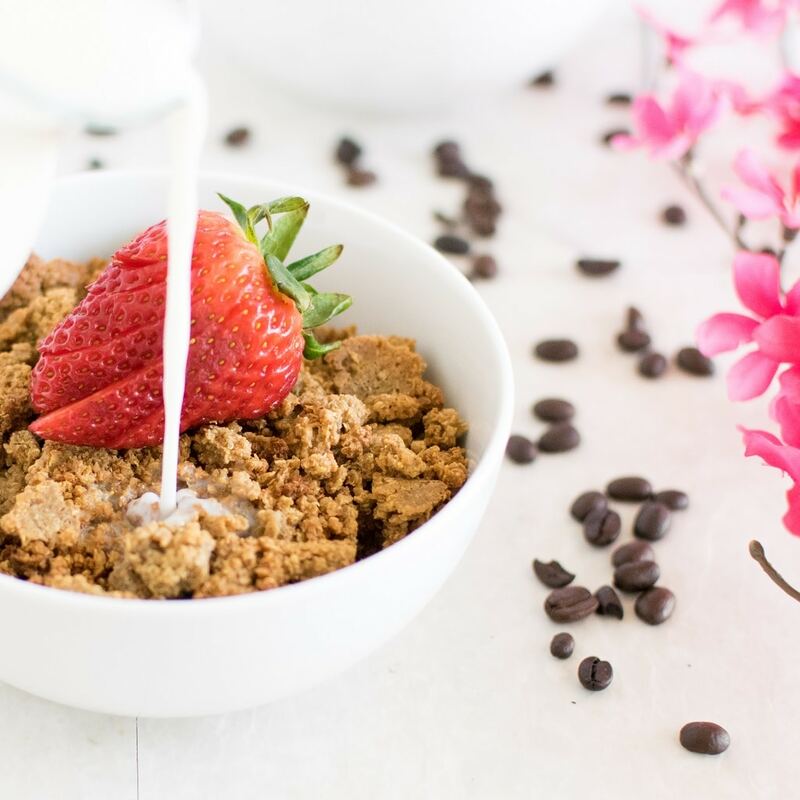 Coffee Cheesecake Quinoa Granola Clusters is inspired by my mom’s choice of food. I wonder why I took such a long time to make granola at home. It’s the easiest of all the recipes and tastes outstanding. Filling and nutritious granola serves as a wholesome morning meal. Make it way ahead of time and store in a jar for weeks. It’s mainly about playing with a variety of ingredients. 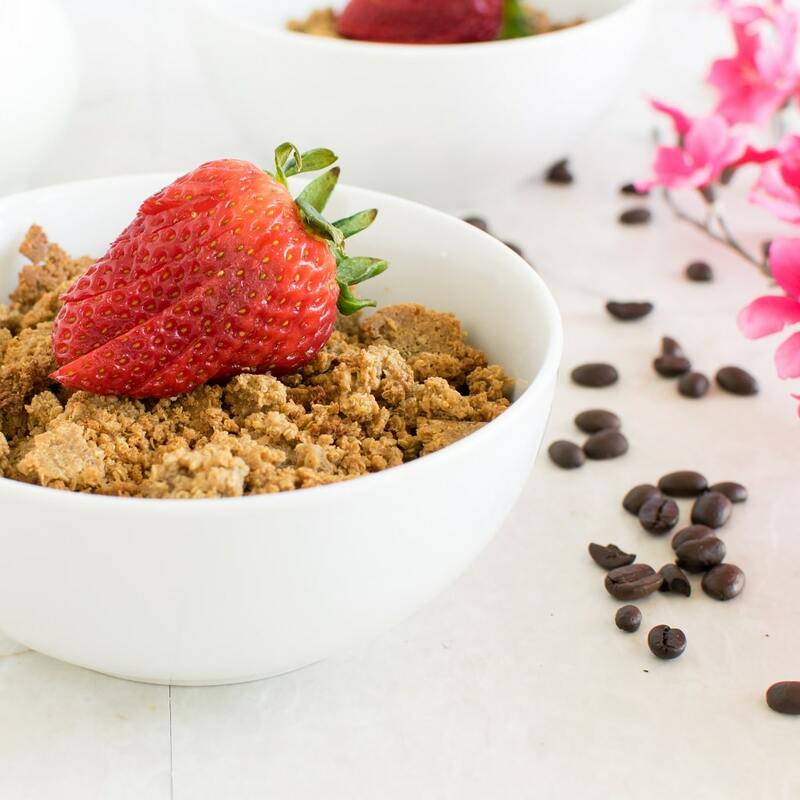 I have been trying to come up with a healthy form of vegan cheesecake for a while. Finally, I was able to include the mild flavor of cheesecake in this granola. Therefore, I succeeded in making it further attractive and somewhat unique. Of course I had to use protein rich and good carbohydrate loaded quinoa because my blog theme revolve around healthy food. I came across quinoa flakes a while ago and have loved it since. I decided to introduce quinoa flakes in my blog via this granola recipe. It’s the simplest and most desirable breakfast in our fast pace lifestyle these days. For this, first I boiled some raw cashew nuts for a minute or so and drained. Once soft I blended all the ingredients in the blender and folded in quinoa flakes. Simply spread the batter on the cookie sheet and bake it in a preheated oven stirring once. Also shifting it to the bottom rack of the oven once after 10 minutes. The most appealing part of this granola is that it is oil free. Hence we get to save some calories from that. I am super excited to serve this breakfast to my Mom on this special weekend along with some surprises and make her day extra relaxing and fun filled. And I as a mom myself treasure every moment of being a mom and my baby making me proud all the time. Boil some water in a saucepan and cashew nuts (cashew nuts should be covered with water). Boil for 1 minute and drain. In a blender combine all the ingredients (except quinoa flakes) and blend smooth. Preheat oven at 350 degree Fahrenheit and place a parchment paper on a large cookie sheet. 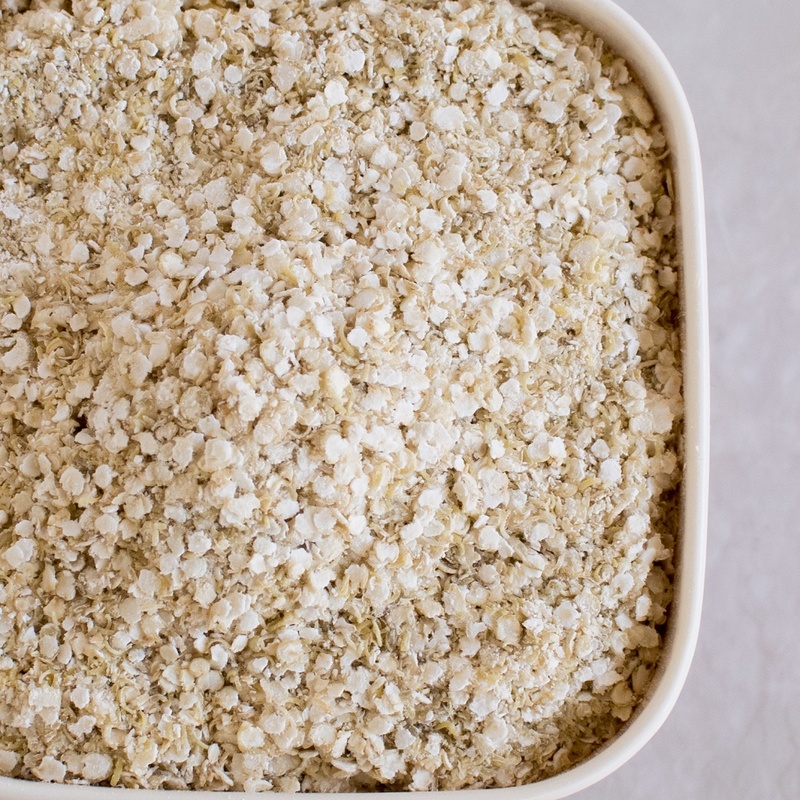 Pour the liquid in a large mixing bowl and fold in quinoa flakes. Spread the batter on the cookie sheet. Place the cookie sheet in the middle rack of the oven for 10 minutes. Take it out and stir with a spoon by spreading it evenly and breaking the clusters into desired pieces. Place the cookie sheet again in the oven at the bottom rack this time and bake for 35 minutes or until brown and crispy. Take it out and pour your choice of milk, fruits, and nuts and enjoy! I used Tofutti cream cheese for this recipe. This recipes yield 2½ cups granola cluster. This sounds so good!! I love quinoa and can’t wait to give these clusters a try! It took me forever to try making granola at home, too. I have no idea how easy it is! This looks delicious. I’ve been putting off making my own granola too! It’s because I always thought it was time consuming but you just proved how easy it is! Cannot wait to give this a try! Homemade granola is so good. This sounds like it would be wonderful! Love all the flavors you used.